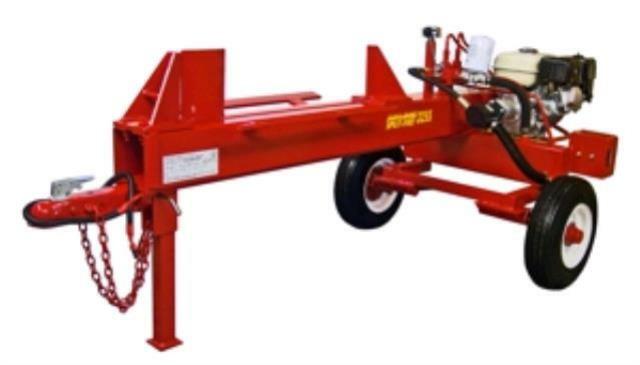 This towable log splitter uses a 22 ton hydraulic ram with a double headed wedge that allows you to split when extending and retracting. This double action increases productivity. * Please call us with any questions about our log splitter max 24 inch log 1 w/ lift rentals in Amarillo, Dalhart, Canyon, Pandhandle and Fritch, TX as well as the Texas and Oklahoma Panhandles.